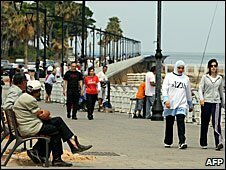 BEIRUT: Religious pluralism is a defining feature of Lebanon: so much so it is enshrined in the country’s political system, designed to give political representation to all communities. 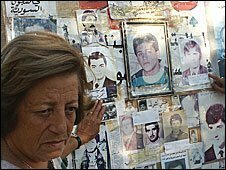 But with Lebanon’s population divided across 18 recognized sects, the country’s politics and society have historically been wrought with bitter ideological differences. These differences are often perpetuated by the prejudices parents pass on, intentionally or not, to their children. It is perhaps inevitable, then, that Le­banon’s youngsters at times find themselves reinforcing the country’s religious, socio-economic and political disputes with peers at school. Aware of the need to reach out to youth, as well as the underfunding of teacher-training programs in Lebanon, one of the biggest conflict-resolution organizations in the world has instigated a national program to train teachers on ways to communicate, promote respect for diversity and mediate disputes. The idea of peace education is not new, but in Lebanon it has yet to become common practice in schools or universities. “The best way for us to really be effective [in creating a tolerant society] is to begin with children and youth … the future of tomorrow,” said Sarah Shouman, director of Search for Common Ground’s (SFCG) Lebanon office. The pilot project is currently under way at four public and three private schools across the country, where an average of 20 teachers receive practical training in “instilling a culture of listening and problem solving in schools,” Shouman added. One exercise teachers are learning to pass on is how to frame their grievances in more neutral language, as opposed to adopting accusatory stances that usually elicit confrontational responses. 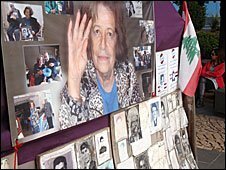 While the project comes at a time of relative calm in Leba­non, bloody clashes in May 2008, uneasy relations with Israel, and the current political deadlock over the formation of a national-unity government, mean the possibility of renewed conflict is never too far away from people’s minds. Teachers and school administrators were initially reluctant to participate, Shouman said. “I think some schools are sick to death of people coming in and telling them they’re doing it wrong. That’s not our intention at all. We understand that there’s a lot of pressure in the education system … we’re trying to build on what is there already.” This approach seems to be working: “Every hour in this workshop has value … every action has a new goal in my life,” said one teacher who participated in the training. Building on the success of the pilot scheme, SFCG will embark on similar teacher training projects in 80 schools nationwide over the next two years, in partnership with Lebanon’s Education Ministry, Lebanese Center for Policy Studies, Forum for Development, Culture and Dialogue, the Arab Group for Christian-Muslim Dialogue, and the Hariri Foundation. “We want to capitalize on the expertise already in Lebanon and also make the most of expertise around the world in peace education,” Shouman said. While SFCG’s Lebanon office only opened in October 2008, the organization has already made considerable strides in promoting a culture of tolerance and conflict resolution. SFCG’s first project here was the much-acclaimed television series, “Kilna Bil Hayy,” English for All of Us in the Neighborhood.” The show, whose first season just wrapped up on LBC International, follows the adventures of six families from Lebanon’s biggest communities – Armenians, Christians, Druze, Palestinians, Shiites and Sunnis – who live in the same apartment complex. A supernatural presence, personified as Lina, teaches the children to look beyond the political, religious and socio-economic prejudices of their parents and to build friendships with their neighbors based on commonalities, respect for diversity, and trust. The series was adapted for the Lebanese context after the huge success of “Nashe Maalo,” a similar SFCG television series in Macedonia promoting intercultural understanding. SFCG Le­banon is now looking for funding to produce a second series. The group is also organizing a traveling film festival on truth and reconciliation for October. The film festival has been running in other countries since 2001, screening films or documentaries that show the human face of war and contribute to preventing and reducing conflict. The festival will travel to 12 schools and eight universities around the country and will be followed by moderated talks.